Coconut oil is truly amazing. So much so that we have ranked it number one on our top 10 foods to consume. It is extensively used in tropical countries, especially India, Sri Lanka, Thailand, and the Philippines. The oil was also popular in the United States and Canada, but in the 1970’s there was a strong propaganda campaign by the corn oil and soy oil industry against it. It was purported to be harmful for the human body due to its high saturated fat content. It was not until 15 years ago that people began to question the claims of the propaganda. Now we know that the health benefits of coconut oil are numerous, including hair and skin care, stress relief, cholesterol level maintenance, weight loss, boosted immune system, proper digestion and regulated metabolism. It can also give relief in high blood pressure, diabetes, and help to improve dental quality and bone strength. These benefits of the oil can be attributed to the presence of lauric acid, capric acid and caprylic acid, and their properties, such as antimicrobial, antioxidant, antifungal, antibacterial and soothing qualities. Perhaps most important, is the lauric acid which our bodies convert into monolaurin, which is helpful in dealing with viruses and bacteria that cause diseases. Almost everyone can benefit from this oil. An interesting note is that this oil is also the most beneficial fat for those that have had their gallbladder removed as it is processed the most easily by the liver. 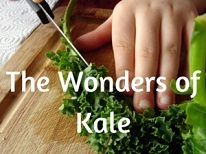 This tremendous food has numerous uses including oral care. Many are now using it early mornings in a fashion called Coconut Oil Pulling. This is basically swishing the oil around in the mouth for up to 20 minutes while it absorbs or destroys many harmful bacteria, viruses and other invaders. Do not swallow the oil after this procedure. Remember to spit it out and rinse your moth thoroughly to remove all the oil. We like to add some Cinnamon to the Oil during the 10-20 Oil Pulling procedure as this covers up the strong flavor of the oil Try adding this or another spice if the taste of the oil stops you from this morning ritual. Coconut oil is an excellent massage oil because it acts as an effective moisturizer on all types of skin. It is comparable to mineral oil in benefit to the skin but has no chance of having any of the adverse side effects of mineral oil. It can prevent dryness and flaking of the skin. It delays the appearance of wrinkles and sagging of skin which normally accompany aging. It also helps in treating skin problems including psoriasis, dermatitis, eczema, and other skin infections. Because of this, it is the base ingredient of the better body care products like soaps, lotions, and creams. Interestingly enough, coconut oil is one of the best natural nutrients for your hair. It helps in healthy growth of hair and gives your hair a shiny quality. Remember what countries it is extensively used in–Sri Lanka, India, Thailand, and the Philippines–some of the most beautiful skin and hair are found on people in these countries. It is customary for many people in these countries to apply this oil on their hair every day after bathing or showering. It is an excellent conditioner and provides essential proteins required for nourishing and healing damaged hair. By regularly massaging your head with coconut oil, you can be free of dandruff, which is often caused by shampoos with harsh ingredients. And it is beneficial to know that it also helps in keeping your hair and scalp free from lice and lice eggs. Coconut oil helps to improve the digestive system and therefore prevents various stomach and digestion-related problems, including Irritable Bowel Syndrome. The saturated fats present in the oil have antimicrobial properties that help in dealing with various bacteria, fungi, and parasites that can cause indigestion. 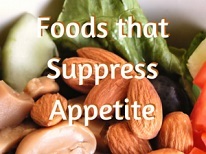 It also helps the body to absorb vitamins, minerals, and amino acids. You can use this oil for cooking by simply replacing it for butter or vegetable oils in the recipes. Don’t switch completely to coconut oil because you will then lose other benefits from some of the other saturated fats such as grass fed butter. 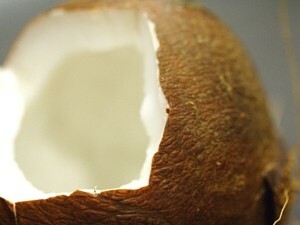 Remember, shredded coconut is also a commonly used ingredient in salads and desserts. Or you can crack open a nut, use the milk in recipes, and scrape off the flesh and eat it raw. The most common varieties you will find on the market are pure oil, refined oil, organic oil, and virgin coconut oil. The most well-known is pure coconut oil. It comes from the dried kernels. It is unrefined and without any additives. It can be used in cooking, as a massaging oil, for improving the health of your hair, with cosmetics, and is also beneficial for medicinal use. 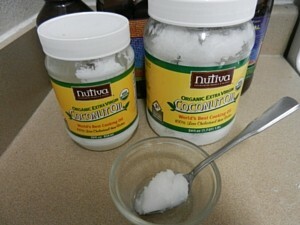 Top Brands such as Nutiva should be used as they are pure organic extra virgin oil extracted without harmful chemcials. Coconut oil is said to be beneficial for the heart because it contains 50% lauric acid. The saturated fats in coconut oil are not harmful as those commonly found in vegetable oils. It is considered very useful for weight loss because it increases the body’s metabolic rate by removing stress on the pancreas, thereby burning more energy. It is also good for the immune system by strengthening it because of the antimicrobial lipids, lauric acid, capric acid, and caprylic acid, which all have antifungal, antibacterial and antiviral properties. Coconut oil facilitates absorption of calcium by your body so it helps in developing strong teeth and can also stop or slow down tooth decay. Coconut oil is often used by athletes, body builders, and dieters. This is because the oil contains fewer calories than other oils, its fat content is easily converted into energy, and it does not lead to accumulation of fat in the heart and arteries. And it helps boost energy and endurance, which is vital to athletes. It has even been shown to prevent and provide relief from the inflammation caused by Candida, which is the disease arising from excessive and uncontrolled growth of yeast in the body. Candida is often prevalent in the United States and European countries where we rely on foods like bread, other baked items, cheese, and wine and other alcoholic drinks. The fatty acids found in the coconut oil are beneficial in counteracting the effect of these eating habits and can be used to treat Candida. So, bread, baked items, cheese, and wine partakers, know that using this oil will greatly help in your digestion. Coconut oil has a high melting point so it is often solid at room temperature and melts when the temperature rises. So if you buy a bottle of coconut oil and it appears solid, and you are used to seeing oils that are liquid at cold temperatures, be aware that there is nothing wrong with this oil being solid. There is no need to keep this oil in the refrigerator. If you are going to use it for hair care or other topical purposes, just melt the oil (if it is a solid) by keeping the bottle near a warmer part of the kitchen or warm some up with warm water. Do not use a microwave for melting the oil as this is not only not needed, but can destroy many of the benefits of raw organic oil. However you choose to incorporate this amazing Oil into your life, it will invigorate your life and health. Find a way and begin!